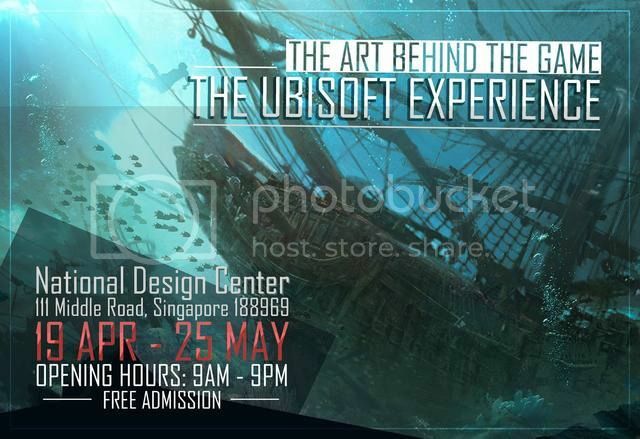 Ubisoft Singapore will be bringing a Assassin's Creed themed Art Exhibition to fans at the Voilah! French Festival Singapore. This event will be held at the National Design Center from 19 Apr - 25 May 2017. Opening hours are 9am - 9pm and admission is free! Visitors can expect to see art from the Assassin's Creed Series created by the amazing developers from Ubisoft Singapore as well as from other Ubisoft studios around the world. There will also be talks and workshops held by the developers! While I might have seen a lot of these art over the years, it will always be exciting to check it out once again. Not only am I a big fan of the Assassin's Creed franchise but I have always been amazed by the art from Ubisoft, since the days of Prince of Persia..
Will definitely be looking forward to check this out along with other works at this Festival..